It’s difficult to downplay the importance of mentors for entrepreneurs. 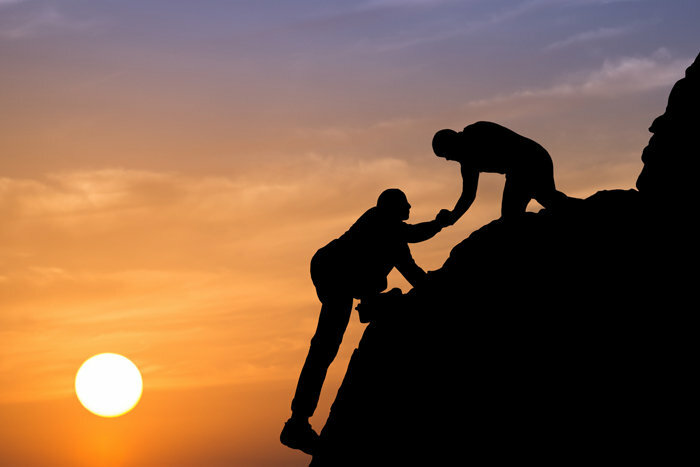 According to the Startup Genome Report, access to the “right” mentors significantly influences a company’s performance and ability to raise money. In speaking with and researching several successful entrepreneurs, we’ve identified five specific types of mentors that startups need in order to prime themselves for success. According to James Lemkin, co-founder of EchoSign and founder of SaaStr, in 95% of cases, a founder should handle sales when a startup is first getting off the ground. He explains, "It’s OK if you are “terrible” at it. What matters is that somehow, someway, you still get those 10 >paying< customers closed." A sales mentor can offer a founder critical guidance before they are ready to hire a full-fledged sales team. Certain sales tactics can only be learned through years of experience cold calling, closing deals, and engaging in negotiations. When robot toy company Sphero first launched, its products were lacking--its robots needed to be “[infused with] more character”. Thanks to extensive mentorship from Disney CEO Bob Iger, the team learned that “people identify with characters, not technology”. By leveraging Iger’s expertise in storytelling, the team learned how to effectively manufacture products that resonate with customers. Entrepreneurs should seek mentorship from industry experts who possess deep domain knowledge and understand regulatory challenges, competitive landscapes, and customer preferences. In addition to offering strategic advice, industry experts can make introductions to customers and partners. Sphero ultimately secured a lucrative partnership with Disney to commercialize the Star Wars droid, BB-8. The startup journey is rife with challenges and setbacks. Depression affects 30% of entrepreneurs. According to a study by New Media Ventures, founders cite therapists as being “equally important” as traditional mentorship and executive coaching. Startups should seek mentorship from a therapist who does not have a vested interest in the company and offers an unbiased perspective. According to CNBC, many VC firms have started to recruit professional therapists to assist their portfolio companies. The therapist should serve as a sounding board in helping entrepreneurs combat burnout and grapple with the emotional toll of entrepreneurship. According to Endeavor, founders who are mentored by successful entrepreneurs are more than three times as likely to become top performers. 33% of founders who are mentored by successful entrepreneurs become top performers. First-time entrepreneurs should actively recruit successful entrepreneurs to help guide them in their journey. Seasoned successful entrepreneurs have learned the tricks of the trade and the critical skills involved in scaling a business, securing strategic partnerships, signing supplier contracts, for example. No matter how deep one’s industry expertise is, if a startup doesn’t have a pulse into the customer, they’re unlikely to secure a stronghold in the market. All entrepreneurs should include a customer in their mentor lineup. For startups, a customer mentor can provide early feedback, offer a pulse into the competition, and outline suggestions for future improvements. Customer mentors are, in many ways, akin to customer advisory board members, who add 9% of incremental revenue to companies. Advisors and mentors are crucial to the success of startups. By mapping out their networks in Affinity, entrepreneurs can identify the mentors that will optimize their chances of success. If you’re in need of a "Sales Expert" mentor, for example, use Affinity to search for “VP of Sales” and discover which potential mentors you have the strongest ties to. Once you’ve selected your ideal mentor lineup, use Affinity to ask for introductions. Finally, leverage Affinity to make the most of your mentorship relationships. Affinity will automatically remind you when it’s time to re-engage with your mentors. According to Rhett Morris, director of Endeavor Insight, consistent contact with mentors improves entrepreneurs’ likelihoods of success.